Last season, as Fulham regained their Premier League status, courtesy of winning the Championship Play-Off Final against Aston Villa, it was Tom Cairney who scored the all-important goal. For Cairney, the 2017 / 2018 season was a bit of a mixed bag. For the first half of the season, he struggled with a knee injury, a problem that restricted his appearances. However, the second half of the season saw Cairney play a lot more as Fulham went on a club record unbeaten run, a coincidence, I think not. Cairney has been attracting the attention of other clubs for the past two years and there was a feeling that if Fulham didn’t get promotion in May then the Scot could well be saying goodbye to Craven Cottage. 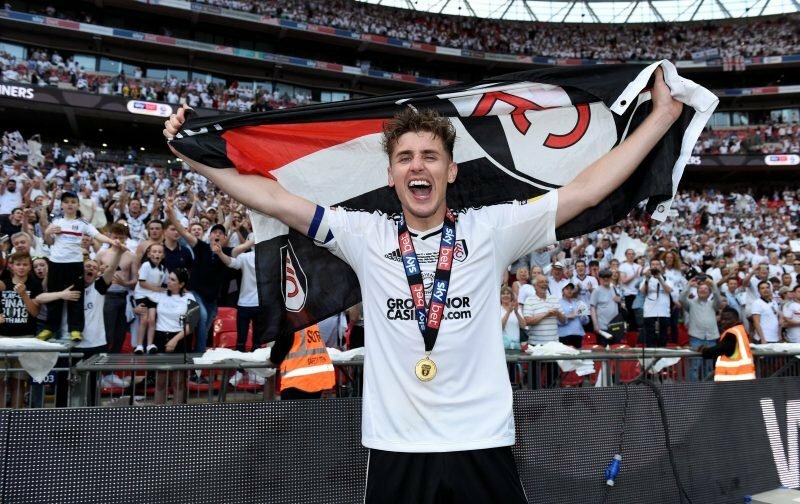 But, any fears that Cairney’s immediate future doesn’t lie at Craven Cottage can be dispelled after the news broke, this week, the 27-year-old had put pen-to-paper on a new five-year deal with the club, a deal that will tie him to the club until 2023. “I’m obviously delighted to extend my contract. “It’s all I’ve wanted to do, and I’m just buzzing to get the season under way. These are exciting times to be a Fulham supporter and the fact that the much sought after Cairney has felt comfortable enough to tie himself to the club for what could be the remainder of his career only goes to show that the club has ambition, something we here at Vital Fulham applaud.